This was what Barbara envisioned writing in an indignant letter to a newspaper (which shall remain nameless) that published a critical review of one of the Harry Potter movies. She felt that the reviewer had missed the spirit of Harry Potter by watching through a jaded adult’s eyes. And she believed in keeping the magic of childhood alive, whether through reading (and re-reading) children’s books, eagerly awaiting the arrival of the latest fantasy and science fiction movies, or delighting in a new children’s toy she’d discovered. As you can see, Rosemary Wells’s Max and Ruby books rub shoulders with George MacDonald’s Princess and Curdie on her bookshelves — and every L.M. 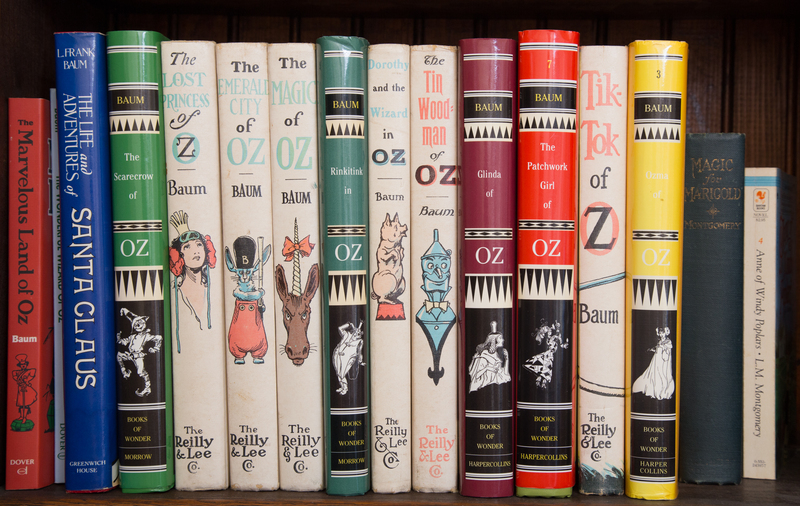 Montgomery or L. Frank Baum book ever published can be found tucked away somewhere or other. Some favorite series by women authors were accompanied by biographies, so that she could read about Montgomery or Alcott or Nesbit after reading what they’d written. What were/are your favorite children’s books? It’s a great season to once again experience the magic of books — and the world — through a child’s eyes. I’ll repeat my Twitter response here – The Borrower’s series by Mary Norton. She brought that world so completely to life for me. I then read the books to my son, who used a screwdriver to ‘make a new door’ in the wall for the Borrowers. Even now I still love to re-read them and go back into that world. This is a great post, and Barbara was so right – you do have to bring the magic with you. And then carry it with you and never forget it.